20 Tallest Things in the World #Infographic ~ Visualistan '+g+"
We always admire and want to know more about things that are extraordinary in any particular way. Something that is the smallest, the fastest, the oldest, or the most orange is grabbing our attention inevitably. 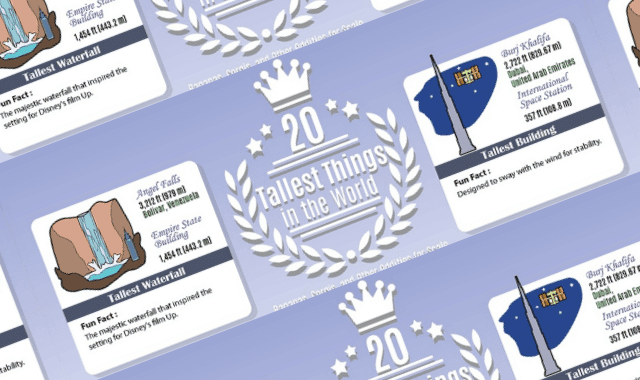 This infographic by Alan’s Factory Outlet is about the tallest things from different corners of the world. Some of them you expect to see there, others will definitely surprise you.